Storage lockers reduce pilferage by locking valuable items out of reach. 4-gauge galvanized welded wire mesh has 1-1/2” x 3” openings so contents can easily be inspected but not extracted. Includes padlock hasp and anti-pry locking bar for securing the full length of the door opening to the front frame. Backs and tops are not included unless stated on the individual model page, but can be added to every model. Single tier lockers are excellent for bulk item storage; Double tier lockers split the compartment into upper and lower sections for improved organization of smaller items. These welded wire lockers feature a modular design, so their layout is easy to plan. They are available in single and double tier configurations. 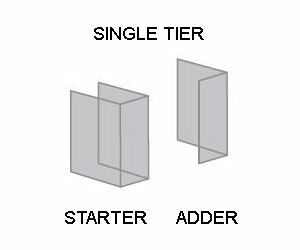 Single tier units have no shelf in the center, with a single door and latch. 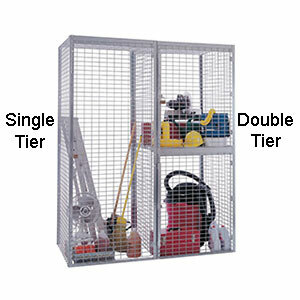 Double tier units feature a center shelf and two independently-opening doors. All doors feature secure locking mechanisms (padlocks not included). 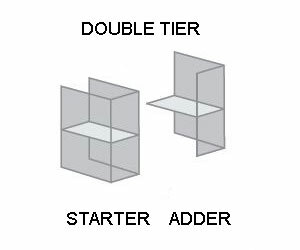 Bulk lockers can be combined into rows utilizing starter and adder units. 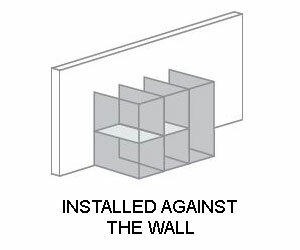 Install against a wall to prevent access from the back of the locker. 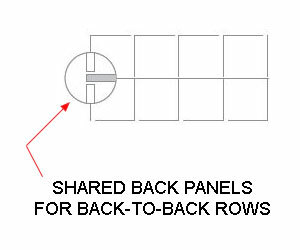 You may also add optional back panels to make freestanding units or to create back-to-back locker rows. Panel frames include pre-punched fastening holes for easy installation. No special tools are required.